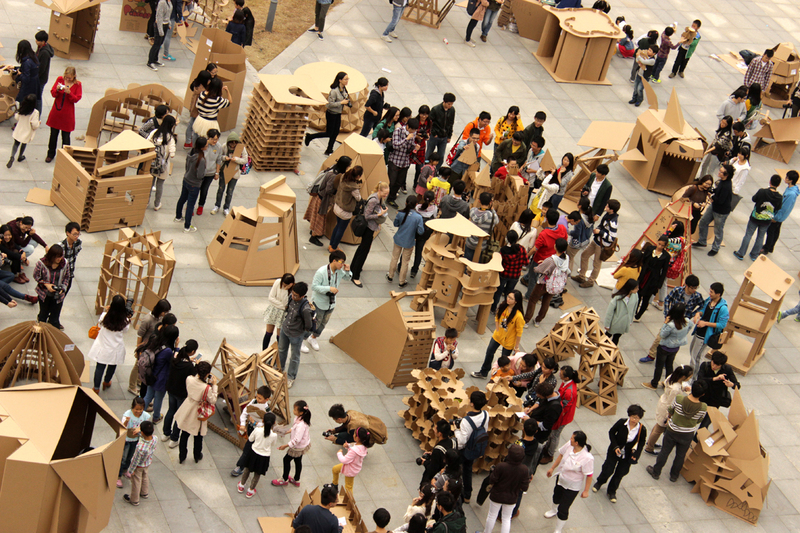 The Cardboard Structures for Children project is part of an innovative approach to structural design teaching in architecture pursued at XJTLU within the scope of a ‘Structures and Materials / Structure and Construction’ module. Besides conventional lectures, students engage in applied drawing-based exercises as well as design-and-build exercises. The teaching approach pursued in the module aims to engage students more closely with the role of structures in architectural design and seeks to foster independent, self-motivated learning through design-based tasks. 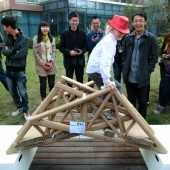 For this purpose, students design and build cardboard structures for young children who then review and test the structures. 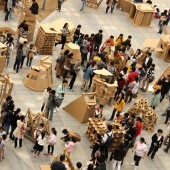 The cardboard structures project allows students to learn from applied experience, which supports immediate, qualitative and lasting learning even in large cohorts. 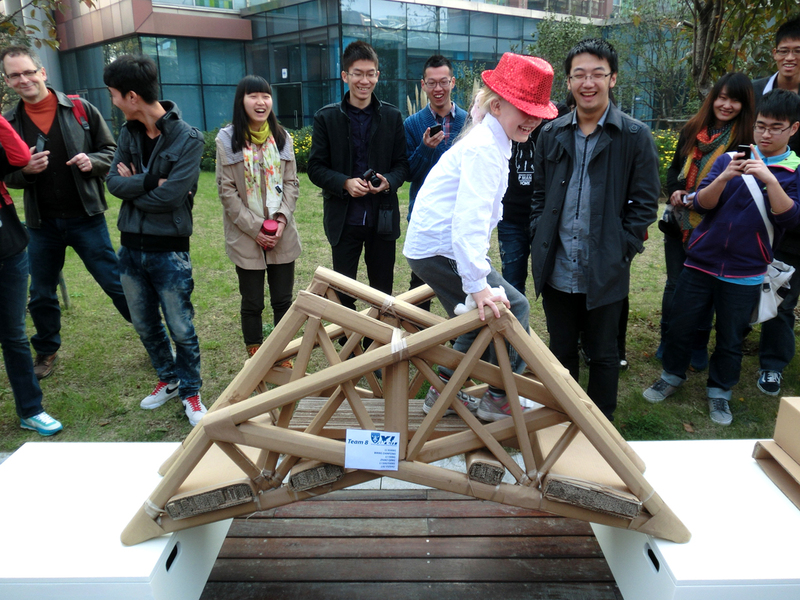 Involving children in this project generates immediate concerns for safety and appropriateness in the architecture students, and a sense of pride and accomplishment towards safe and structurally sound, yet architecturally interesting cardboard structures. The children involved in this ongoing project enjoy the experience equally, often taking great interest not only in using the structures but also in understanding their architectural design approaches more deeply. Research Question: How can qualitative structural design education be achieved in large (100+) student cohorts?